USS Texas (SSN-775) is a Virginia-class submarine, and the fourth warship of the U.S. Navy to be named after the U.S. state of Texas. The Virginia class, also known as the SSN-774 class, is a class of nuclear-powered fast attack submarines designed for a broad spectrum of open-ocean and littoral (shallow coastal water) missions. As it’s implied by the nature of this type of naval vessels, the USS Texas, along all other submarines, conduct their business deep into remote and isolated areas of the ocean. These high tech, nuclear powered units, have all the latest computerized, electrical and electronic solution that the U.S. have to offer. With this, there is always the risk of a fire developing while underway. This is why to execute fire drills is paramount. In such a secluded and closed environment, the potential for panic cannot be understated. 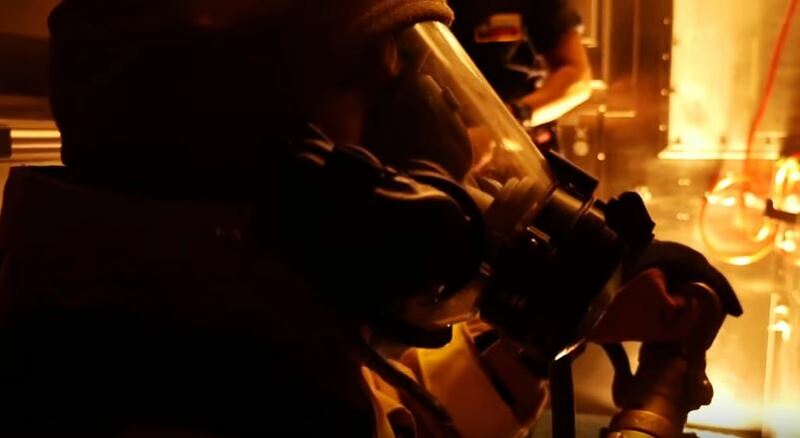 When you’re concentrated on highly sensitive missions, the sound of a fire alarm could cause the ultimate stampede which could lead to widespread damage and ultimately death. This video features a fire drill aboard the fast-attack nuclear submarine USS Texas (SSN-775) while underway in the Pacific Ocean on March 15, 2017.